The Southwest US, especially Arizona, holds a special place in my heart. I was born in Phoenix, and although I moved away at the ripe old age of 3 months, I spent many youthful summers running around the hot and dusty neighborhoods of a tiny town called Cottonwood, AZ. My memories are of blazingly hot days, rolling thunderstorms accented by the intoxicating smell of rain in the evenings, cactus in the low lands and ponderosas in the high lands, enchanting red rock formations, occasionally pulling bullheads from my shoes and socks (mean, little pokey plants that like to get stuck on clothing and do a doozy to bare feet), munching on jalapeño peppers with my grandfather, and simple, vibrant, flavorful foods influenced by both Native and Central American cultures – in other words, magical! I interviewed my friend and fellow Jamie Oliver Food Revolution ambassador, Amy Baker Wambold of TheRealFoodJournal.com, to give you a glimpse into this magical culture and its delicious cuisine! 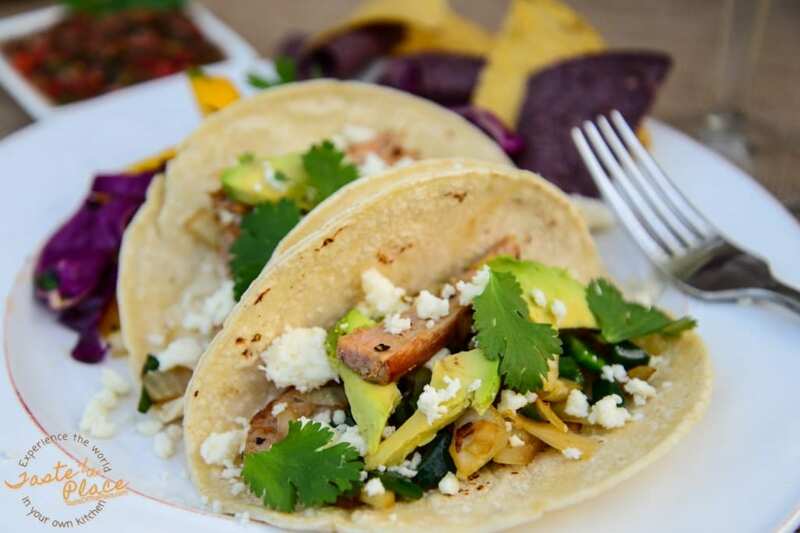 Don’t forget to scroll down for a tasty collection of Southwest recipes! Yumm! If you like it hot, colorful, wild, sweet & spicy – then you’ll feel right at home here in Arizona. With mild to scorching temperatures, amazing sunsets, blooming cactus, abundant citrus trees and flavorful chiles – you will immediately feel like you’re on vacation. What roll do you think food plays in the culture around Scottsdale, and in your own home? Arizona lends much of its culture to Native and Latin American influences. Traditionally, many families lived near, or with, each other – making it easy to pass culture down to younger generations. Today, we are a sprawling cosmopolitan city with expensive cars, busy malls & casinos, golf retirees and tourists lying by the pools. Restaurants are plenty – from sushi & vegan to steak & artisan pizza – visited frequently by dual income families – even with small children. My role here is to “go against the grain” a bit by cooking more at home to keep it in balance. I enjoy controlling the quality of my ingredients, passing cooking skills onto my kids, and teaching them food education. Describe a typical dining experience in the Scottsdale area. Scottsdale is a social place to be seen, so buy a sundress and find a spot around a high top table or go out back and sit in a big, comfy sofa with a gas-flamed center table and enjoy the manicured greenbelts and sharp mountain ranges. “It’s a dry heat” is our most popular phrase. Yes wine, more often than not. Casual – but classy, not careless. Manners? Yes, but not in a traditional way. Here people are open to trying things differently – an escape if you will – it’s like you, but on vacation. You are from Scottsdale, AZ – what do you love most about the area? I love Scottsdale for its cleanliness and beauty – everywhere I look I see colors of orange, purple, red and yellows. We are a transient state, so I meet people not only from different parts of the country, but from around the world. Is there an herb or spice that is often associated with food from your region? 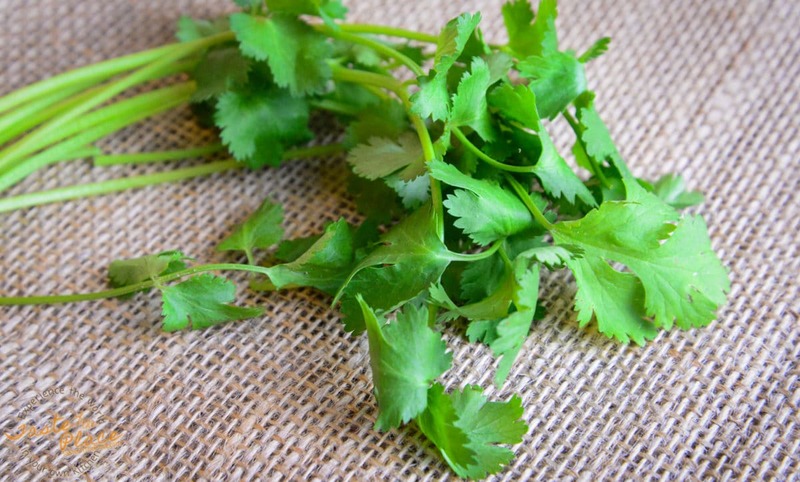 A leafy herb that drives me crazy, in a good way, is cilantro. (Its seed is called coriander.) It resembles Italian parsley, so if unlabeled, you need to do the sniff test! 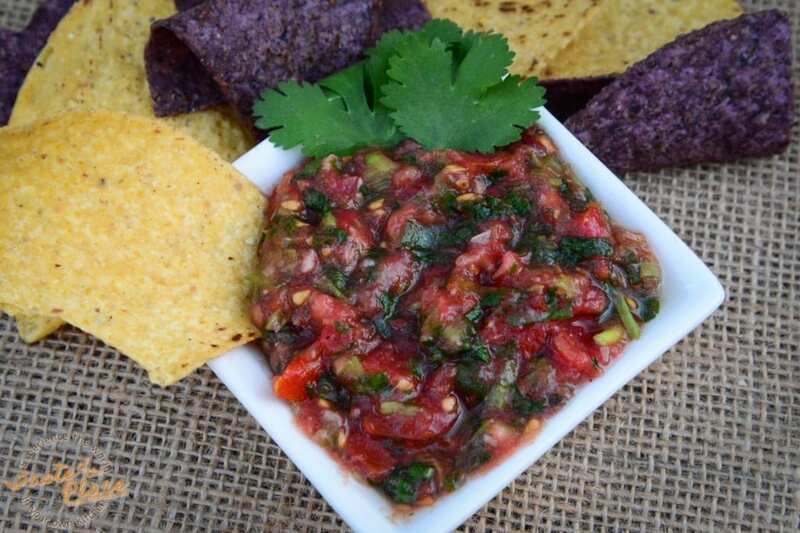 Cilantro is added to salsas, guacamoles, sauces, fish, burgers, tacos and salads. It also happens to be easy to grow. Are you ready to create a Southwest meal? Grab that sundress, slip on some flip flops, turn up the latin music, and let’s get cooking! The following recipes all come straight out of Amy’s Southwest kitchen. What better way to satisfy hungry dinner guests than with cool, fresh tomatoes on a warm day? Heart-healthy and light, this appetizer won’t spoil your appetite. In fact, it wets those taste buds for the main attraction. Optional: if your tomatoes are not at their peak of ripeness, 1 tsp sugar to 10 tomatoes can be added to help balance out the flavor and add depth. The color and natural sweetness from this crunchy salad will have you smiling from ear to ear. Is there anything more cool than street tacos?! This recipe uses tender and juicy, quality lean meat instead of cheaper cuts with fatty grizzle. Leave the heavy sour cream and greasy cheddar cheese behind – don’t look back – and get ready to be indoctrinated into the street taco hall of fame with flavorful green chilis and comforting soft onions. Let pork rest outside the refrigerator for about 20 minutes (so as to not “shock” the meat when it hits the hot pan.) Pat the pork tenderloin dry with paper towels. Slice into 1 ½ inch slices and place onto a paper towel lined plate, seasoning both sides with salt and pepper. Add the onion and poblano pepper to the same pot, scraping up all the nice browned bits referred to as fond – chef’s gold. Do this for about 2 minutes or until vegetables are just about soft. Return the sliced pork to the pot and toss it around with all that good flavor and to warm it up a bit. Warm the corn tortillas for 30 seconds (on stove in small pan or microwave), and top with poblano & onion pork filling. Top with avocado and crumbly white cheese. 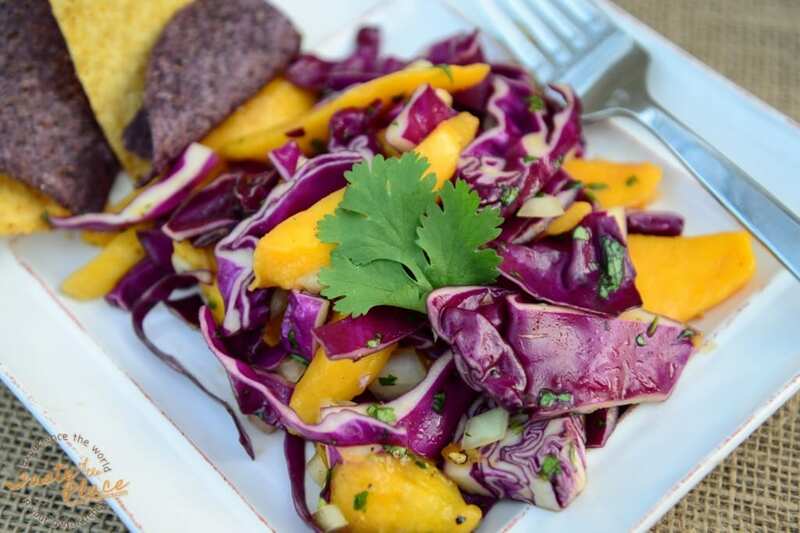 Serve alongside mango & cabbage salad. First discovered by the Mayans and Aztecs, cacao was originally consumed in a sacred ritual drink – bitter and spicy. It was considered to be Food of the Gods. This decadent treat will drop you to your knees. Break or chop up all the chocolate, but only melt 8 ounces of it in 45 second increments in a glass bowl using the microwave, stirring after every time. (You may use a double boiler on the stove, but be careful as chocolate does not like even one drop of water!) Warm to 102 degrees, (about just completely melted) so as to achieve proper texture and sheen. Once fully incorporated, use a rubber spatula and pour onto a wax or parchment paper lined sheet tray and spread – not too thick and not too thin – roughly about ¼ of an inch. 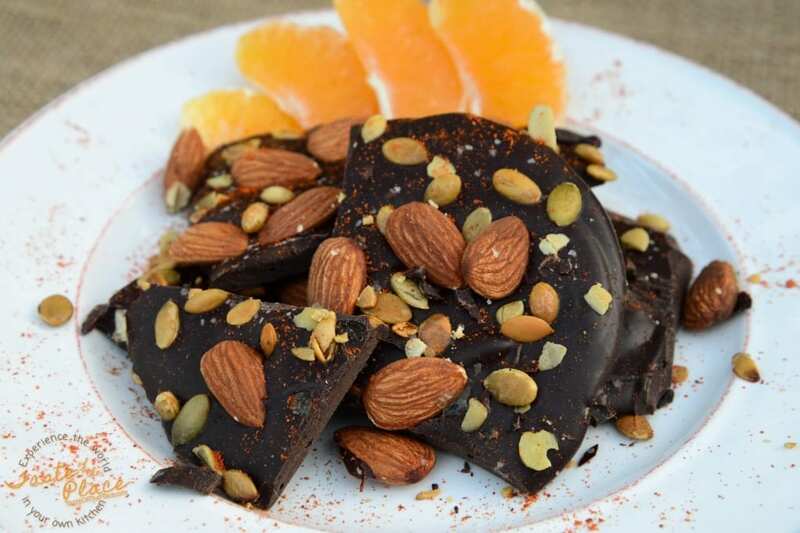 Artfully sprinkle (to the amount of your liking – I think more here is always better – so there’s a little in EVERY bite) the chocolate with almonds, pepitas, cinnamon, cayenne pepper and sea salt. Don’t by shy! Refrigerate for 1 to 2 hours until you hear a clean snap when you break into pieces. Serve alongside ripe and juicy sectioned oranges. Use the rule of thirds here when concocting this fun & happy beverage. And by adding diced cucumbers and jalapeños, it keeps this drink enticing, daring, fresh and up-to-date. You may switch out any orange liquor or tequila you prefer, as these are a bit pricey, but keep that lime juice! Please, fresh-squeezed only. Into a pitcher, add the Grand Marnier, tequila, and lime juice. Recipes are guidelines, so if you want to add more or less of anything that’s fine. Salt the rim of your glass if you wish. You can do this before you pour that pitcher by filling a shallow bowl with sea salt. Run a piece of lime all around the rim of your glass, then dip into the salt. 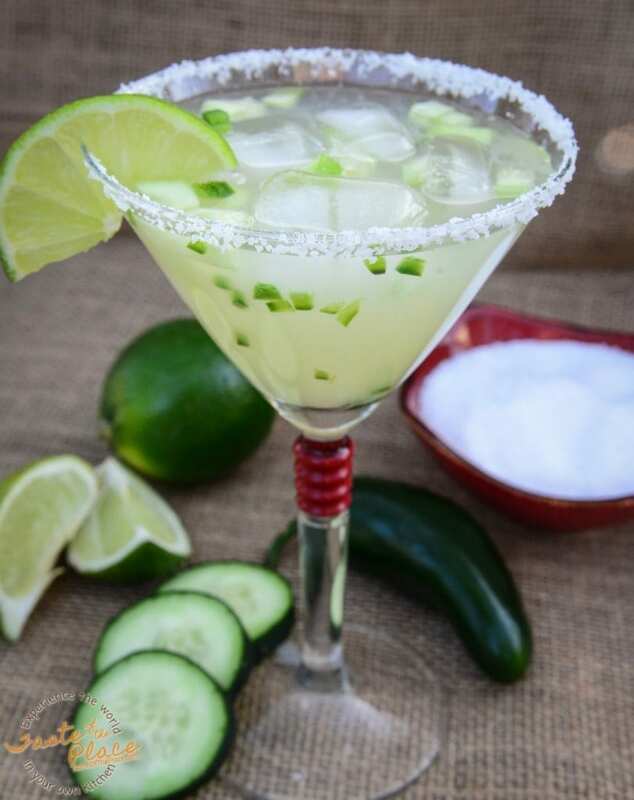 Add a small amount of fresh diced cucumber and jalapeno to the bottom of the glass, fill with ice, and pour in the fresh margaritas. Add a circular slice or wedge of lime and serve as a pre-dinner cocktail. 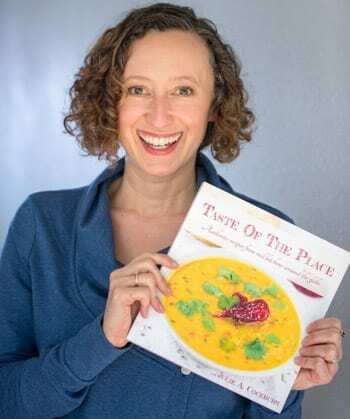 Amy Baker Wambold is a REAL food lover and friendly activist talking about, writing about, promoting, eating, teaching, celebrating and photographing real food! She is into the third year of her blog, TheRealFoodJournal.com – a celebration of the beauty and health of real food (also known as JunkFoodJournal.com where she initially urged parents to keep track of their children’s sugar intake – which she still does!). She is a Food Revolution Hero and an Ambassador for Jamie Oliver’s Food Revolution Community where she volunteers her time to promote real food, food education and to keep cooking skills alive. She assist chefs and students part-time in cooking classes at Sur la Table. Amy is currently on a journey seeing where her passion takes her. 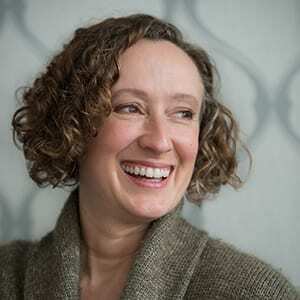 She is exploring starting a food photography business and offering cooking classes for kids. Find Amy online at TheRealFoodJournal.com or at her Scottsdale Food Revolution page at Facebook.com/FoodRevolutionScottsdale. This is an gorgeous article to no end… I always love Southwest flavours but you and Amy definitely elevated all my senses to a new level of appreciation! Thank you! Will be trying my hands with these gorgeous recipes and will invite my kids to join along too minus the margaritas!